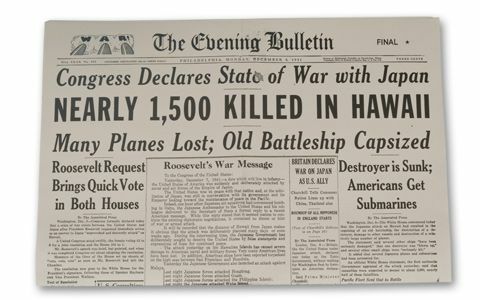 Washington Saves the Day Again-In Hawaii! It was the darkest days of World War II, just after Pearl Harbor. Everybody in Hawaii was sitting on pins and needles. Were the Japanese preparing a massive invasion of the islands? If they did invade, they could use the millions of dollars in currency on the islands to buy war material. 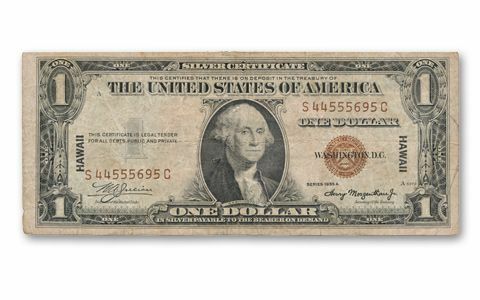 To thwart this, these $1 Federal Reserve Notes were sent to the islands. 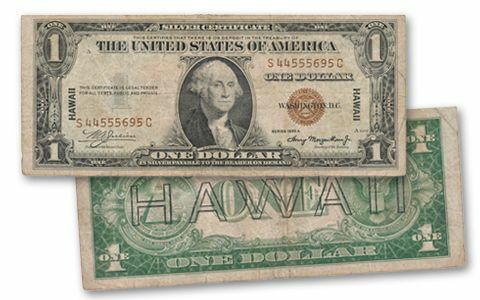 Each has a large HAWAII printed on the reverse. If the Japanese did invade, the currency would be demonetized. 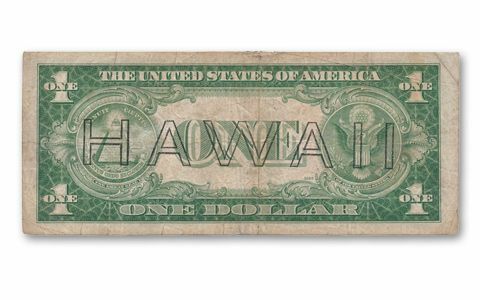 After the threat passed, most of these "Hawaii" Notes were destroyed. Today they're hard to find. We found a small number, so you can get this scarce note now!